Most cities in North America have vast networks of back alleys or laneways that are often underused, uninviting places only there for utilitarian purposes. Toronto is no exception. With land scarcity becoming more of an issue every year, it is time to start reclaiming these lanes for people. While some initiatives have started to take shape in Toronto, other cities have great ideas that can serve as inspiration. Here are some of the projects we believe could easily be implemented in Toronto. 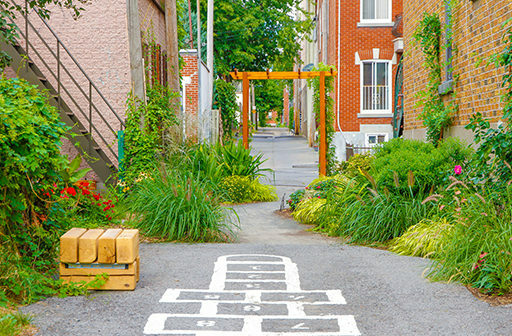 Ruelles Vertes is a city-wide initiative in Montreal that reimagines grey and utilitarian laneways and turns them into small greenways, embedded with new seating areas, gardens, and bioswales. This way, forgotten, and frequently avoided urban spaces are turned into important gathering spaces for city dwellers, where children safely ride their bikes, families hold barbecues and grow vegetables together, and runoff is diverted from pipes and dealt with using vegetation. The city had 320 ‘ruelles vertes’ in 2016 and it adds around 40 new projects every year. 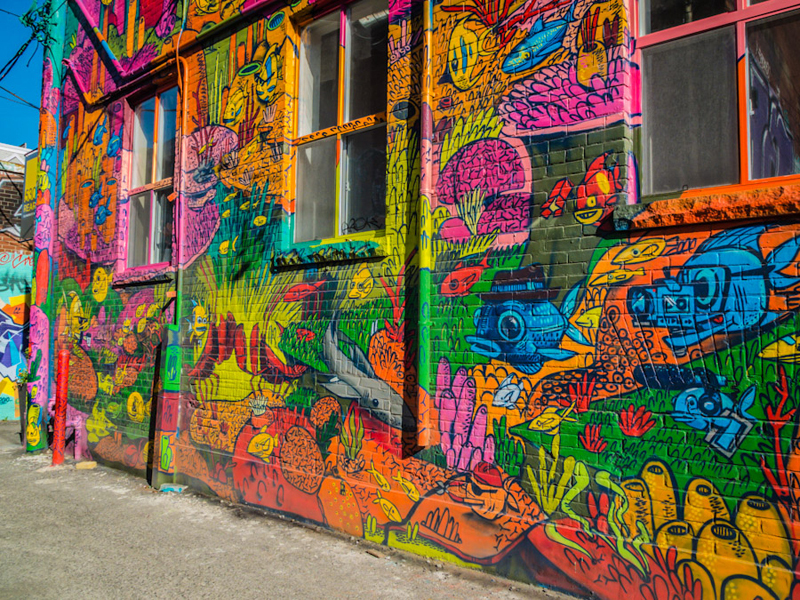 Toronto recently started its own version of green alleys called The Laneway Project, aiming to transform its vast network of back lanes into more livable spaces. Simple additions to the laneway, like the seating block, the gateway trellis and the hopscotch painted on the pavement, turn a space dedicated to cars, into a place for people. This lush garden is a pleasant break from the asphalt of the city roads providing environmental benefits to reduce pollution and mitigate stormwater runoff. 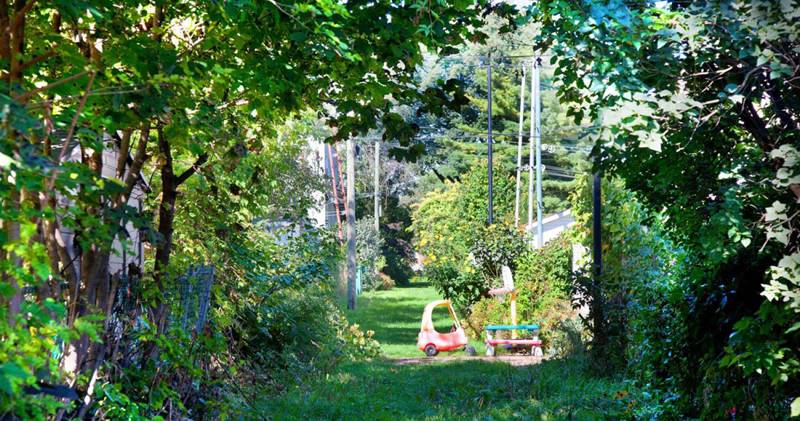 This grass-covered alley with toys becomes an extension of the back yard and increases play areas in the city. It is crucial to allocate sufficient recreational opportunities for the growing number of children in Downtown Toronto. Laneway Housing consists of utilizing the back of existing homes to build a new residential unit facing the back lane. The City of Toronto amended city by-laws to allow laneway suites last month in a bid to tackle rising unaffordability, joining Vancouver which started its own program in 2009 boasting more than 3000 small homes to date. Several concerns have been raised regarding laneway housing, including accessibility, privacy, servicing, and loss of green space. To address these issues, some architects are getting creative with how they design these homes. As laneway housing becomes more common, and city officials and designers address people’s concerns, support for laneway housing will continue to grow and will highlight the need to reimagine how we think of back alleys. The Rough House by Measured Architecture consists of a main house and a laneway suite anchored by a wooden deck in the center. 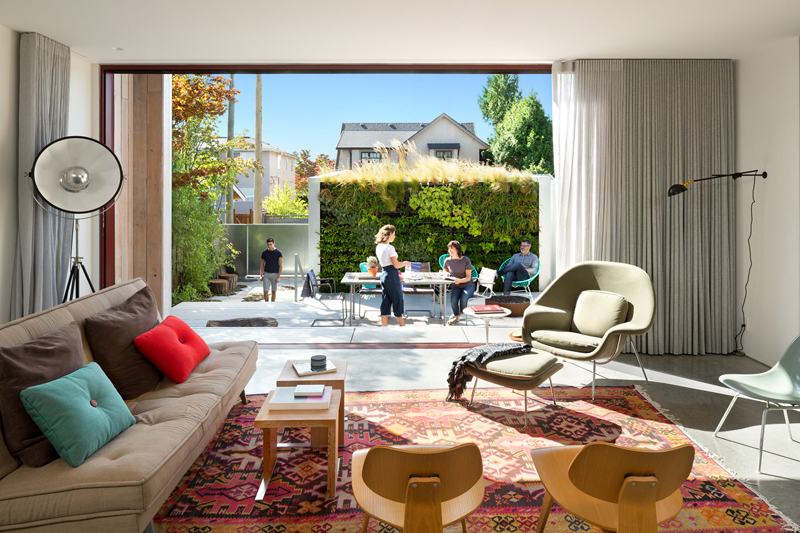 To address the loss of green space in many Vancouver houses where a unit is added to the back, the architects implemented various strategies, such as narrowing both buildings to create side yards and light wells, incorporating a green wall on the back of the laneway house and a green roof on its roof, which makes the shared back patio, a truly inviting space. Additionally, both houses face away from each other to increase privacy. Photo by Latreille Delage Photography, Ema Peter Photography, and Martin Tessler. Interactive Laneways: In order to make pre-existing utilitarian alleys more attractive, designers are embedding programmatic elements to give them back to pedestrians. 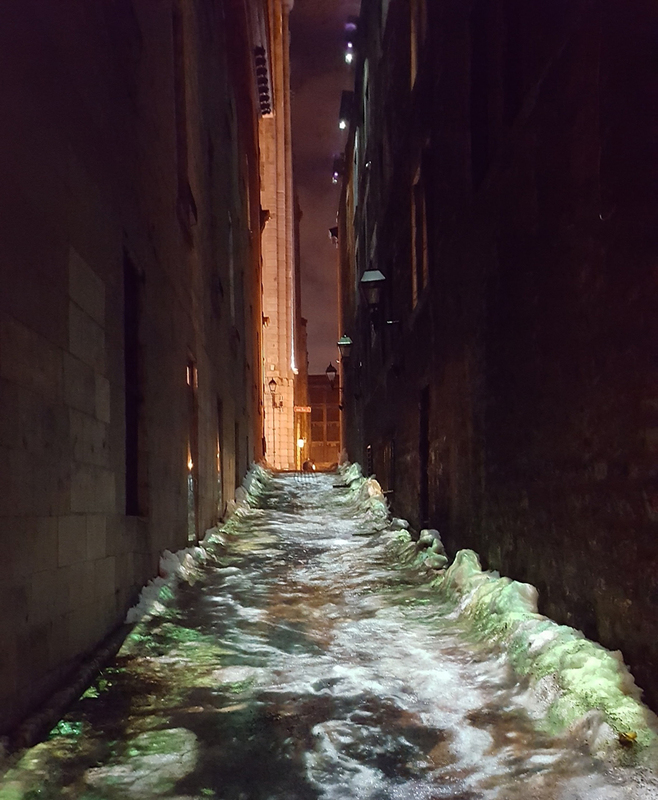 Montreal has introduced several light installations to alleys in and around Old Montreal, that range projected murals to the experience of walking in a river, with splashing and trickling sounds, virtual flowing water, and special effects that activate as the user moves through the lane. 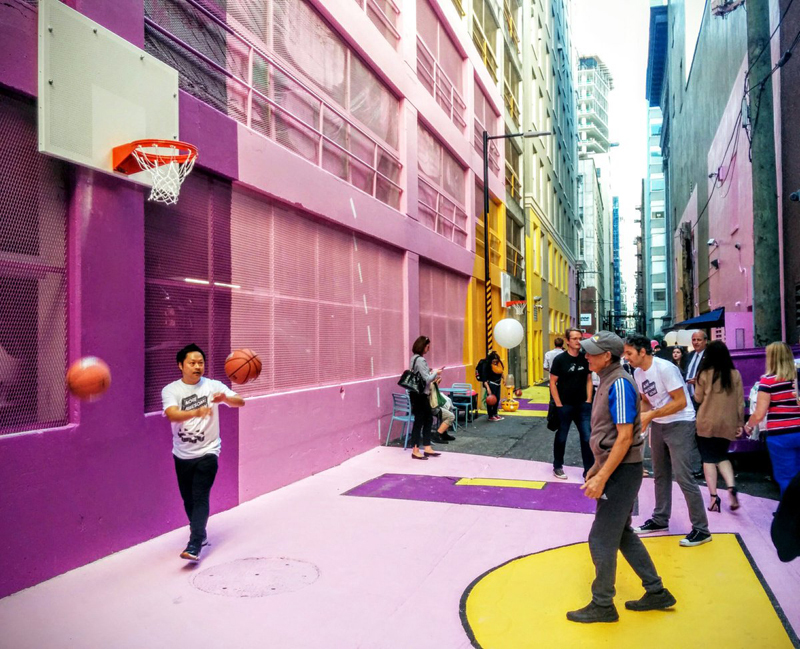 Vancouver’s Alley Oop project downtown painted the walls and paving of a downtown alley in bright colours, and placed elements like basketball hoops, lighting fixtures and tables and chairs to attract people. Its success is encouraging more projects like this, with a new interactive laneway opening this summer. This interactive installation on Rue Saint-Dizier projects different natural environments onto the floor and activates different visual and sound effects as the user moves through the space. In this case, a virtual river flows through the alleyway. Commercial Laneways are measures taken by cities across the world to become more livable and vibrant by encouraging stores and restaurants to face into back lanes. 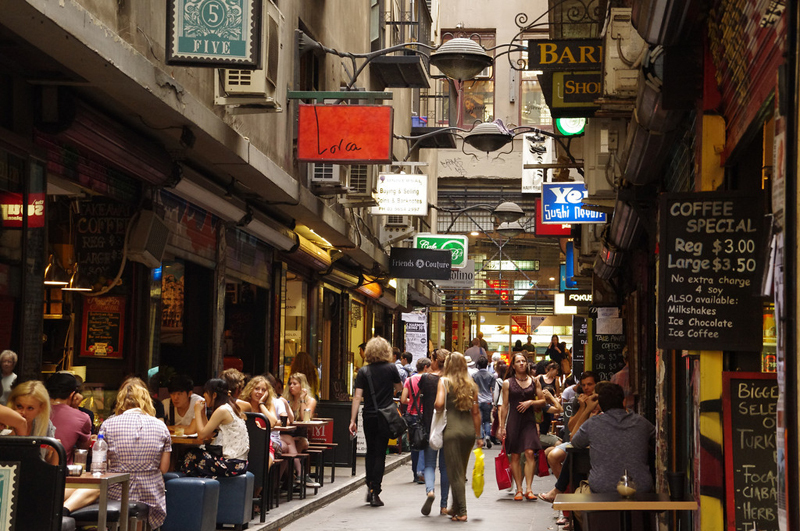 Melbourne started to revitalize their laneways back in the 90’s in an attempt to increase safety and encourage people to live downtown. Today, many of its alleys are full of patios and storefronts catering to thousands daily. Other cities, like Tokyo, Istanbul, and Mexico City have implemented similar ideas with great success. 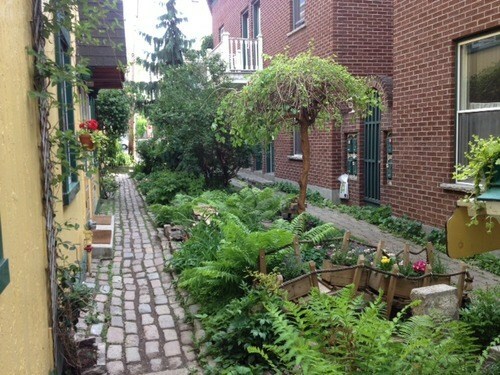 Laneways for cars are underutilized, money-draining spaces that add no value to the city. Melbourne’s Centre Place Lane paints a different picture of economic opportunity and animated environments. As land value and space availability continue to be an issue in major cities across the world, it is evident that there is no lack of creative possibilities to reimagine our urban landscapes. It is critical for municipalities to establish and envision the type of place they want to be and take the necessary steps to achieve that image.